Ankara can justifiably take pride in both its past and its present achievements. It has been Turkey's capital since the founding of the Republic in 1923 by Mustafa Kemal Atatürk, whose mausoleum and cermonial plaza surrounded by Peace Park is hard to miss. The Column of Julian, dating from 362AD is from Roman Ancyra, the fortress walls are Byzantine and traditional houses from Ottoman Angora can be seen inside the citadel, some of them now restaurants. 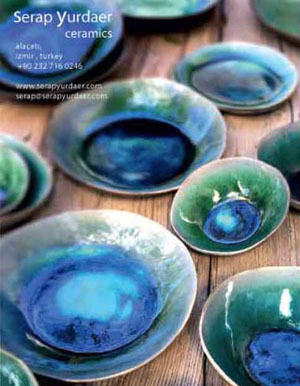 Cornucopia devoted 26 pages to the Turkish capital in Issue 47 and author Patricia Daunt thought it high time more visitors made their way here. The Museum of Anatolian Civilisations is aso inside the Citadel, housed in a fine caravanserai and containing an unrivalled Hittite collection. A well furnished ethnographic museum opposite the opera house is one of more than three dozen museums in the city. Four concert halls and the home of the Turkish State Opera and Ballet make the city a cultural centre, and vistors may even want to glimpse the new Presidential Palace, which is said to be 30 times the size of the White House with around 250 rooms. For a more traditional take on the city, there is Suluhan, a caravanserai from the 16th or 17th centuries, now shops in the Hacıdoğan district of small commercial premises. Ankara now has a population of around 5 million, but before becoming Turkey's capital, it was a quiet, small town, known for its Angora goat wool and its rabbits. A sense of this time can be seen in the photographic book of John Henry Haynes. Taken in 1884 they include pictures of the Temple of Augustus, the column of Julian and the Byzantine fortress. Tourists love Turkey but virtually none come to Ankara. They assume it is an artificial city, chosen as capital simply for its location and built virtually from scratch. It is indeed a new city, chosen by Atatürk for its central position and given fine, if somewhat Teutonic, government buildings during the 1920s and ’30s. Since then it has suffered urban sprawl, with a current population of over three million. But there is nothing new or artificial about old Ankara. This is no Turkish Brasilia. Twice capital in antiquity, Ankara is a neglected modern capital, still ignored by those who, when it comes to history, are in the habit of skipping adroitly from the Hittites to the New Republic. But at last a long-postponed miracle is occurring. 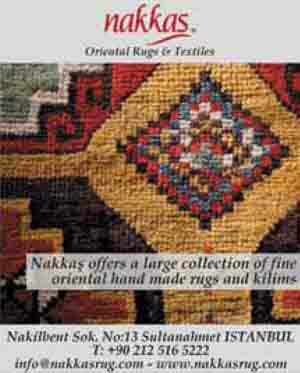 A plethora of recent discoveries in Ulus – old Ankara – have awakened a thirst to pull together the missing threads. [The Museum of Anatolian Civilisations]( is no longer the sole attraction: changes in and around the citadel, which itself dates from antiquity, are now complemented by boutique hotels, the most recent being one of outstanding quality. When planning your next trip to Turkey, why not be unfashionable and start with a few days in old Ankara before carrying on north, south, east or west? You will not be disappointed. There are three metro lines in the city.